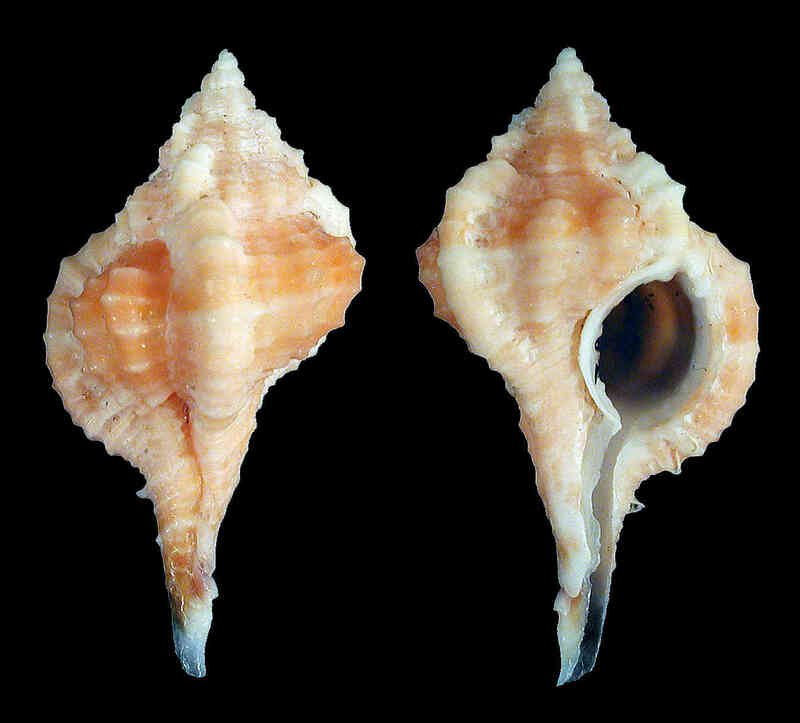 Shell size to 45 mm; shell similar to Vokesimurex cabritii, but spines very short or absent, except on long siphonal canal. Three varices per whorl, with two, rarely three, axial beaded ridges between varices. Color brown, gray, or reddish. 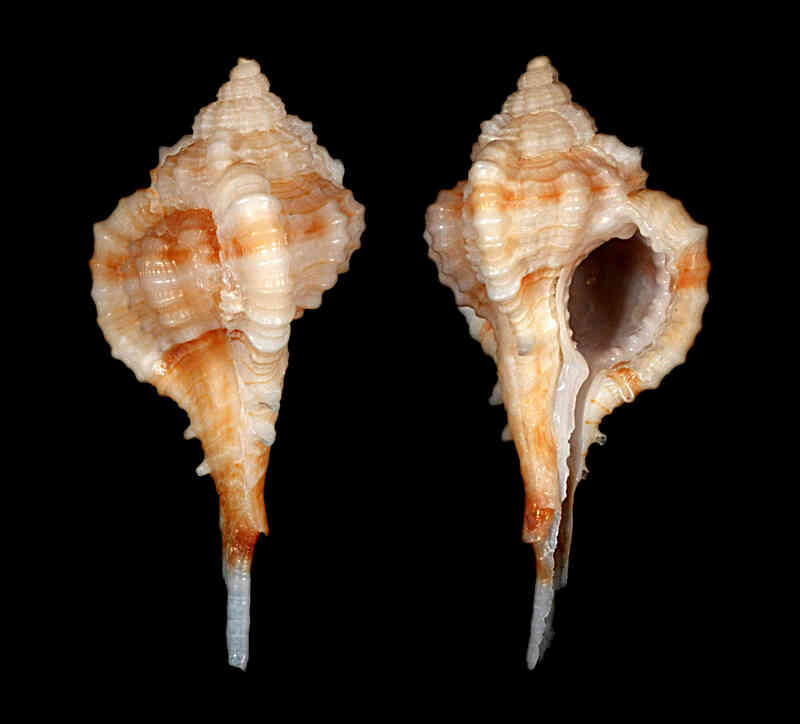 The shell depicted in the main image was collected by Carol Saunders in March 2009 on Sanibel. 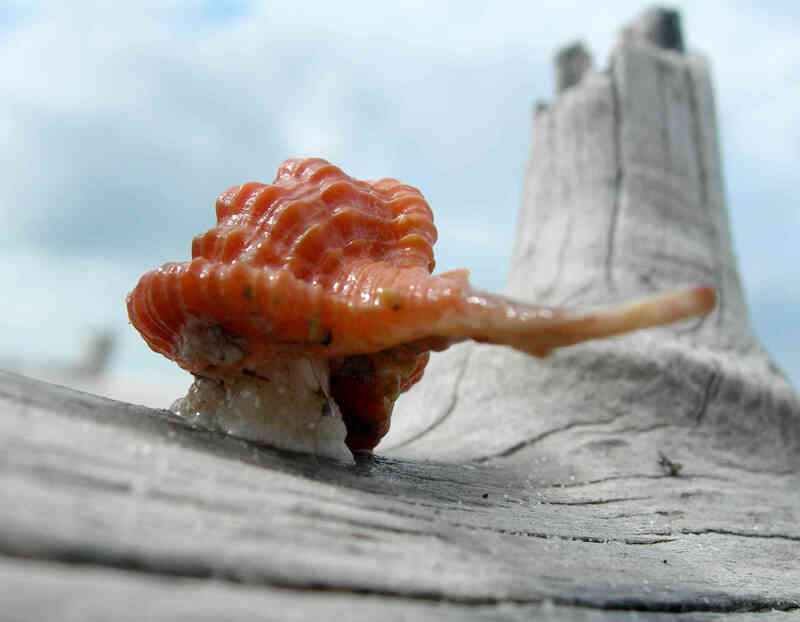 The live animal picture was by Amy Tripp, taken on Kice Island, Collier County, in April 2010.